WASHINGTON (Sputnik) - Saudi Crown Prince Mohammed bin Salman knew about the killing of journalist Jamal Khashoggi and will continue to test the limits of the US-Saudi relationship and as long as the United States does not take any measures, US Senator Marco Rubio said in a TV interview on Wednesday. "What we know about this murder leaves you with no doubt that the crown prince, at a minimum, knew about it, condoned it and perhaps, at worst, was actually involved in directing it," Rubio told CNN. "And here’s why we know that he has absolute control in Saudi Arabia, he basically governs the country at this point as the crown prince." Rubio added that he considers US President Donald Trump, Secretary of State Mike Pompeo and Defense Secretary Jim Mattis’ refusal to publicly acknowledge the crown prince’s involvement in Khashoggi’s murder as an attempt to preserve the importance of the Saudi-US alliance. "But alliances have limits, and the crown prince will continue to test the limits of this alliance," Rubio said. "There are all sorts of things that we can do to make clear that this can’t continue to happen. Otherwise, he’s going to get more reckless. He’s going to, frankly, pull us into a war someday with his recklessness." Last month, a CIA leak to several news outlets revealed the agency concluded with high confidence that the Khashoggi murder was ordered by the Saudi crown prince. However, Trump said CIA did not have any definitive answer on whether the crown prince had been aware of the murder. 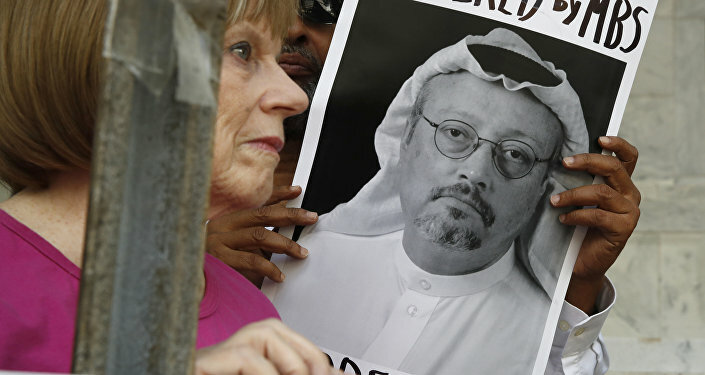 Saudi Arabia initially denied any knowledge of Khashoggi’s whereabouts, but later admitted that he was killed inside the Saudi consulate in Istanbul before his body was dismembered. On October 26, the Saudi prosecutor general acknowledged that Khashoggi's murder was premeditated. However, Riyadh maintains that the killing had nothing to do with the Saudi royal family and described the killing as a rogue operation.